In an action initiated by an insurance company, the Defendant sought various discovery from the Plaintiff. Am. Gen. Life Ins. Co. v. Billard, 2010 U.S. Dist. LEXIS 138570 (N.D. Iowa Dec. 29, 2010). Two issues pertained to the production of litigation hold letters and forensically imaging hard drives. The Defendant sought information regarding the Plaintiff’s obligation to enact a litigation hold. Am. Gen. Life Ins. Co., at *17. The Plaintiff objected at first on relevance and privilege, however, admitted someone might have deleted “an email” (which implies a single message). Am. Gen. Life Ins. Co., at *18. 1) The Plaintiff would produce any non-privileged and responsive documents that exist. 2) The attorney received and had not reviewed the Plaintiff’s document retention protocols prior to the hearing. 3) The Plaintiff had such a “comprehensive method” for preserving ESI, a litigation hold letter might not have been needed. Am. Gen. Life Ins. Co., at *18. The Court did not address the representation that a litigation hold letter was not needed because of a “comprehensive” preservation method. However, the Court did order the Plaintiff to produce any litigation hold letters or state no preservation notices were sent to the Plaintiff’s employees. Am. Gen. Life Ins. Co., at *18. 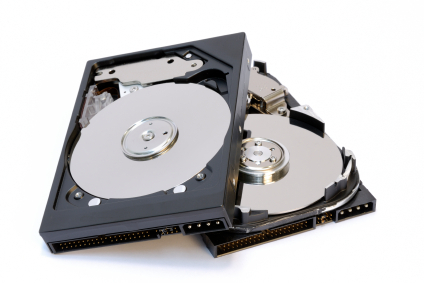 The Defendant sought the forensic imaging of all hard drives/storage devices used by two of Plaintiff’s employees. Am. Gen. Life Ins. Co., at *19. The Plaintiff (rightly) objected on privilege and relevancy grounds. Am. Gen. Life Ins. Co., at *19. The Plaintiffs also argued the hard drives contained “commercially sensitive information.” Am. Gen. Life Ins. Co., at *19. The Defendant did not cite any authority for the forensic imagining of the Plaintiffs’ hard drives. As such, the Court held that without some proof that the “mirror imaging” would produce additional responsive ESI, the motion to compel was denied. Am. Gen. Life Ins. Co., at *19. Letter writing might be a dying art, but sending a litigation hold is not. It is a novel argument that a “comprehensive” data preservation system would eliminate the need to communicate the duty to preserve to a client. While it is certainly plausible a corporate party could capture and archive all employee’s computer generated content, it is a hard sell such technology eliminates the obligation to inform a party to preserve evidence. To be blunt, a party needs to be told of their duty to preserve relevant ESI to avoid “an email might have been deleted” situation. As for the forensic imaging of hard drives, there is no rule all preservation of data must be a full forensic image. Data preservation must be done in a forensically defensible sound manner, which goes to the process, not a bit for bit image of a hard drive. Technology continues to improve for targeted collections, in which selected folders and files are copied in a forensically defensible process. For example, see products from PinPoint Labs, Paraben or Guidance, plus others, who sell such software and hardware. Such collections reduce time to review ESI and avoid the imaging of non-responsive or otherwise protected information. Having a comprehensive data or document preservation system can not relieve a party from its duty to take an affirmative step of issuing a letter for litigation hold. 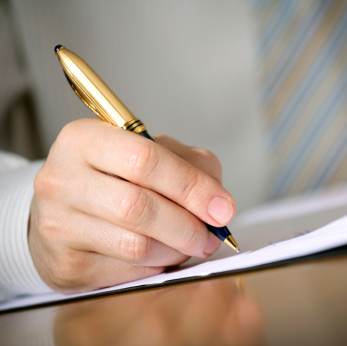 As soon as a litigation is reasonably comprehended, the party must ensure the issuing and implementing of its holding letter related to that litigation.